Learn how to handle a shovel. The Kiwi lifestyle, awesome mountain terrain and snow makes New Zealand one of the best places to experience winter in the Southern Hemisphere. Our ski fields, from the commercial fields to the club fields, all need seasonal workers for the winter season. But what’s the right New Zealand ski field job for you? Free lift pass, ski and snowboard lessons, rental gear and ride breaks are just some of the perks to you might get working in a New Zealand ski field. As well as a wage and gaining experience working on a mountain unlike any other job. What experience you get, of course depends on what type of ski field job you do. This article is to help you understand the roles within a New Zealand ski field. Oh, and by the way, no matter what department you end up working in, you will have some shovel time. Between January and March, New Zealand ski fields start advertising for new recruits for the winter season starting in June. 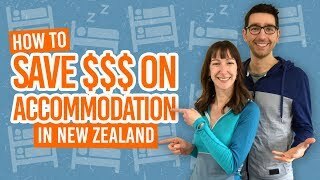 They will advertise on their website’s job page, and some will post listings on BackpackerGuide.NZ’s job listings, so look out for that too *oh-so-cheeky-wink-face*. Larger ski fields, small commercial fields and club fields all differ in the way that they operate. That’s why it’s super important to read and compare job descriptions between companies! 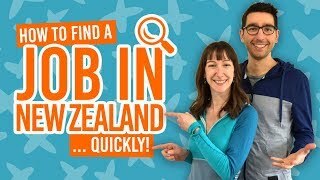 For tips on how to get a job in New Zealand, check out How to Quickly Find a Job in New Zealand and How to Create a New Zealand CV. These guys keep the ski field, well, skiable! If you are thinking of working in field operations, then you are keen to work outdoors whatever the weather. And we really mean whatever the weather! By the end of the season, expect to be one with your skis/board with all the ride-time you’ve had and to have a mean goggle tan. “Lifties” are the face of the field operations team by dealing with thousands of customers riding the lifts every day. The lifties who enjoy their time the most on the mountain have a great sense of humour and are not afraid to have a bit of “banter” with the customers. Some fields require you to be a competent skier or snowboarder in order for you to move from lift to lift, whereas others will employ beginner skiers and riders to work on bottom lifts. As your riding improves you have the opportunity to lift operate elsewhere. This is a tough yet rewarding job. Being physically fit and having the ability to work in a cold and harsh environment is essential, especially as some shifts are during the night. While some ski fields request past experience, others will train you on the job. Snowmaking is a good “in” for those wanting to move into more skilled field operation roles. Entering a ski field as a groomer definitely requires experience. You need to know your machine in and out! In New Zealand, groomers have usually done at least a couple of seasons driving Pistenbully snow groomers. There’s opportunity to groom everything from beginner areas to terrain parks to lift lines. Because the ski areas in New Zealand are pretty small, they tend to groom the crap out of them! Expect both day and night shifts. Another highly skilled job on the mountain, ski patrol are there to keep people safe and tend to those who have not been so safe. This role can be on a volunteer basis at smaller New Zealand club fields. Minimum qualifications usually include: professional ski patrol experience, pre-hospital emergency care qualification, Avalanche Safety Stage One or higher qualification, and snow blasting approved handler certification. These guys live for the snow! As a teacher of the awesome snowsports discipline, you’ll have at least an internationally-recognised Level 1 instructing qualification under your belt. If you are interested in going into this line of work while you are working in another ski field department, then there are opportunities to gain these qualifications in New Zealand in preparation for your next winter season! Keen to further your snowsports school career? Some ski areas also seek terrain park instructors, adaptive ski and race coaches, all of which require qualifications which can be obtained in New Zealand. Bigger ski resorts also hold regular races and competitions, giving opportunity to work with the events crew. People have to get to the ski field somehow! The road crew organises the chaos of overly keen skiers powering their way up the mountain. This is controlled with mountain shuttles transporting people up and down the hill, while “roadies” show people where to park their cars. If you love the idea of filling your mornings with a rush of cars that need to be shown where to park, then this is the job for you! You’ll be working in all kinds of weather, experiencing extremely busy periods and quiet ones to just take it easy. Your job will be to drive staff and customers between the nearest settlement to the ski field base. Insane time-keeping skills are essential, as well as being a safe driver with experience of driving in winter conditions, which you might need to prove in the application process. You are also likely to need a New Zealand driver license with Class 2. Your office is on the mountain! How awesome is that?! Working in customer relations and human resources is the warmest mountain job, for sure. Additionally, if organisation, administration and accounting is what takes your fancy between ride breaks, then these are the ski field departments for you! As the first point of contact between customers and the company, wearing the biggest smiles on the mountain is your first job. Sometimes coupled with selling tickets (see Ticket Office below), you are there to deal with enquiries, complaints and lost property on the mountain. Believe us, there is a lot of lost property on a ski field. It’s like people really don’t want to keep their gloves! Cash handling and using a point-of-sale system (and being super friendly) is usually what is required from ticket office workers. Working in human resources is a huge job in keeping all the staff happy! Eek! Working in this department usually means working a longer season than fellow staff members, as you are involved in the whole recruitment process of employing staff. On a ski field, the role means issuing staff uniform, putting together staff inductions, handbooks, payroll, dealing with staff queries, and negotiating with external work-related agencies. Nothing says winter than the stench of overused snowboard boots! As someone who works in rentals, you’ll come to love the smell as you get to work with an enthusiastic team and customers ready to hit the slopes. Fit boots, boards, skis and bindings for customers! You’ll need to help clean and maintain rental gear and clothing. Some mountain rental shops will also require you to take payments. This is a great social job, especially when working with a fun crew too. A season or two’s worth of workshop experience is usually required to tune, wax and maintain customer and rental gear. Entry into this line of work is usually through working as a rental assistant in a previous season. At most ski fields in New Zealand you’ll find at least one cafe. Staff and customers all have to eat and you are there to serve! In ski fields with multiple cafes, this is a good chance to move around and shake things up from working just a standard routine. Working in food and beverage is one of the warmer and dryer ski field jobs, while you may still have the opportunity for ride breaks. Bowing to every command of your head chef, you’ll have to cook the food while maintaining an acceptable level of health and safety. Cooking on a ski field rarely means “fine dining” but more like working your way around a fryer. While some chefs require experience, being a kitchen hand is a good way to get started in kitchen jobs. Kitchen hands initially tend to do food preparation and dish washing. Kiwis love coffee, so a barista is essential on a New Zealand ski field. While some ski fields may require experienced baristas, others will train on the job. Cafe attendants work on the tills, clear tables, run food and keep the cafe to an acceptably clean and tidy level. These people go here, there and everywhere, which can be quite the adventure on a mountain. It’s an opportunity to meet and work with all the other departments. Although they do very different jobs, they are essential in keeping the ski field running. Toilets, cafe floors, staff rooms… They all need cleaning and maintaining by the cleaners or “custodians”. Any product that is bought for the company is allocated and taken to the right place on the mountain by Distribution. Different ski fields have different systems for this, but it could include stock taking, heavy-lifting, and driving trucks (would need a Class 2 New Zealand licence for this). A mechanic with a difference! Ski field mechanics need experience behind them in a number of areas: diesel engines, smaller vehicle engines, chairlifts and snowmaking. You must also be able to work in a cold and challenging environment. So you’ve decided what job you’d like to do? There’s about 24 ski fields in New Zealand hiring staff each year for the winter season. See where are best ski fields and what it is like to work on a New Zealand ski field.